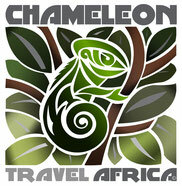 This project is the perfect starter package into the natural wonders of the African bush! Situated within the Greater Kruger National Park, you’ll experience what it is like to live in the African bush. Explore the reserve on foot or in a vehicle accompanied by an experienced and very knowledgeable field guide. Go on excursions included in the programme. Explore Kruger National Park. Visit a local township. Help local outreach programmes. Visit a rehabilitation Centre and admire a giant Baobab tree. Gain in-depth knowledge of the natural world and how to sustain it… All this and more in a comprehensive 2-week programme. The two week package is ideal for those with little time available, but getting the most out of their stay. It also provides an ideal introduction to South Africa and wildlife in combination with other projects Chameleon Travel Africa offers; for those who wish to spend more time in the country. Social responsibility too is very important to the project and they offer continual practical and financial support to worthwhile local initiatives. Please note that although there is a planning in place, the programme may be disrupted at any point by weather conditions or game viewing opportunities, whether it be elephants visiting at the camp fence, giraffes passing by or an early morning wake-up call to go see lions!! You can be assured that the project leaders will walk the extra mile to give you an incredible experience! On arrival, participants may also choose from a variety of optional extra excursions (prices vary per excursion) which can be fitted into the two week programme: Panorama Drive – touring the natural beauty of Limpopo’s breath-taking landscapes and waterfalls, Horse-back Safari, airborne Microlight Safari, quad biking, mountain biking, walking trails, an additional day-trip into Kruger National Park. There will be leisure time to relax at the pool, sit on the huge tower looking over the bush to spot some wildlife and take in the vastness of the stunning natural surroundings. Or, for those who wish to connect with the home front, to share your adventures. Breakfast and lunch are prepared by participants and dinners are delicious home cooked meals prepared by the camp’s matriarch Suegnette. Special diets are catered for. The camp is situated in a private game reserve (nature reserve) where ‘The Big 5’ (lion, elephant, buffalo, leopard and rhino) roam freely, as well as all the other wildlife such as giraffe, zebra, warthog, and various species of antelope, and smaller carnivores such as hyena, jackal and cat species such as cheetah, caracal, serval and plenty more lesser known yet amazing animals. There are five separate rondawels (chalets) to accommodate from 1-8 persons as well as five caravans to accommodate from 1–2 persons. Apart from this, there is a 3 story tower where you can sleep out under the stars above tree level. The separate ablution block has hot and cold running water, flushing toilets, and showers. All bedding is provided, but bring your own towel and sleeping bag (for sleeping on the tower or in the bush). There is a huge lookout tower in camp, a kitchen/dining area, a communal area, a lecture and games room, and a swimming pool. The phone signal at Camp varies with some ‘hotspots’ for good signal. Wifi signal is fine, yet not as fast as you may experience at home. There is electricity in camp. Participants must be 18 years or older, or be accompanied by an adult. Fair knowledge of the English language is recommended. No experience is needed to join the project, just a passion for the African bush and an open mind to explore different cultures and values. Group size: 2 - 6 participants. Minimum stay: The project runs a programme of 2 weeks. Please contact us for available dates.